Headaches are merciless! They often strike without any sign of warning, without so much as a flicker of an idea that a throbbing headache is around the corner. You don’t get any chance to prepare for headaches. They hit you all of a sudden and cause you intense pain. You can do nothing except feel irritated and surprised when a headache strikes you. And when you have been hit, you feel like you really need to find a remedy FAST to counter it. 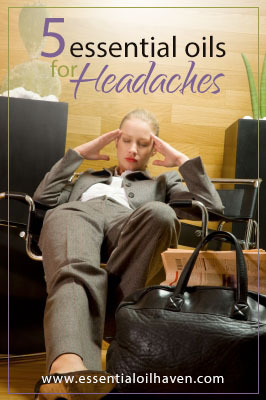 Using essential oils for headaches is a great alternative way for eliminating that nasty headache! 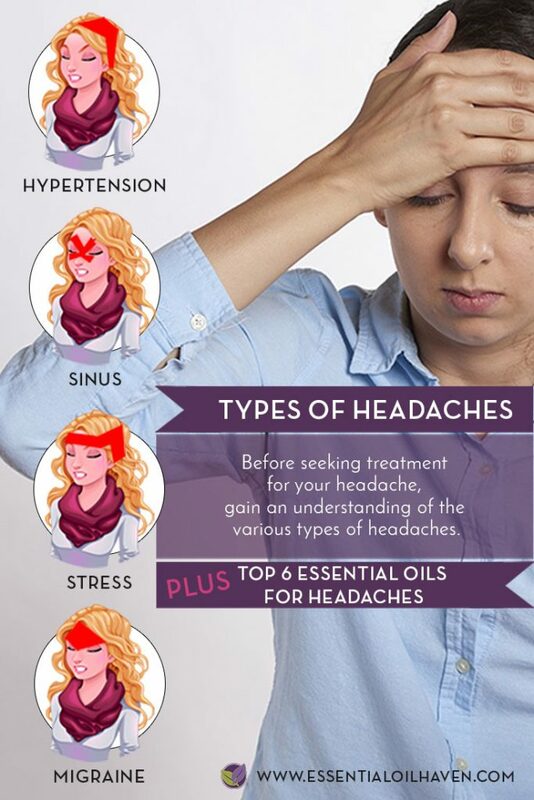 First though, some essential oils are more effective in resolving certain types of headaches. To begin with, let’s understand where a headache may come from. A headache can be a sign of emotional distress or stress, or it can be caused due to a medical disorder like migraine, high blood pressure, anxiety or depression. Headache can lead to other problems. As an example, people suffering from chronic migraine headaches may find it hard to go to school or work on a regular basis ¹.
Migraine headaches usually affect one side of the head more than the other. They are characterized by a sharp, throbbing and disabling pain which can last for hours to days. Stress, anxiety, caffeine, alcohol, medication overuse, lack of sleep or hormonal changes are some of the triggering factors for migraine headaches. Migraines may progress through four stages namely prodrome, aura, headache and post-drome ². This particular type of headache causes mild to intense pain and can last in duration from 30 minutes to a few days! Tension headaches are usually triggered from activities that cause the head to be held in one position for a long time without moving. These activities can be staring at the TV or computer screen for too long, extended phone use or driving for a long period of time ³.
Sinuses are air-filled spaces that lie inside your forehead, cheekbones and behind the bridge of your nose. When they get inflamed usually due to an allergic reaction or an infection, they swell, produce more mucus, and the channels draining them can get blocked. This build-up of pressure in the sinuses causes pain that feels like a headache. Caused by a sinus infection, sinus headaches often include symptoms like nasal discharge, pain over upper teeth, pressure on the sinus area and sometimes a fever. A lot of people are under confusion and may feel that they have headaches from sinusitis, but they actually have migraines or tension headaches. To get the confirmation done for sinusitis and for receiving a proper headache diagnosis, you are advised to consult your doctor 4. Sugar headaches may sound so sweet to you, but they are just as annoying as other kinds of headaches. These can be caused by both too much and too little sugar. Intake of too much sugar can cause high blood sugar levels which is called hyperglycemia. Consuming too little sugar can lead to low blood sugar levels which is known as hypoglycemia. Fasting, dieting or eating irregular meals can lead to low blood sugar levels which can eventually cause sugar headaches. Eating a large amount of foods having high glucose content can also trigger sugar headaches 5. Dehydration headache is a secondary headache that is caused by not having enough fluid in the body. 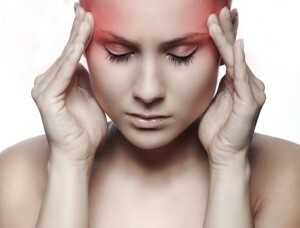 These headaches can be relatively mild or severe as a migraine 6. Dehydration is more common than you may think and it affects a large percentage of human population on a daily basis. Titled “Water, Hydration and Health”, this Scientific Journal at the US National Library of Medicine has confirmed that water deprivation and dehydration can contribute in the development of headache. Emotional Stress is extremely subjective. It does not only make us feel emotionally awful, it can also aggravate any health condition you can think of. Causes of emotional stress could include criticism, family difficulties, finances and possibly even deadlines. After stress grows, it becomes harder to curb the consequences. Start taking action at the first hint of a stress headache – you’ll thank yourself later! 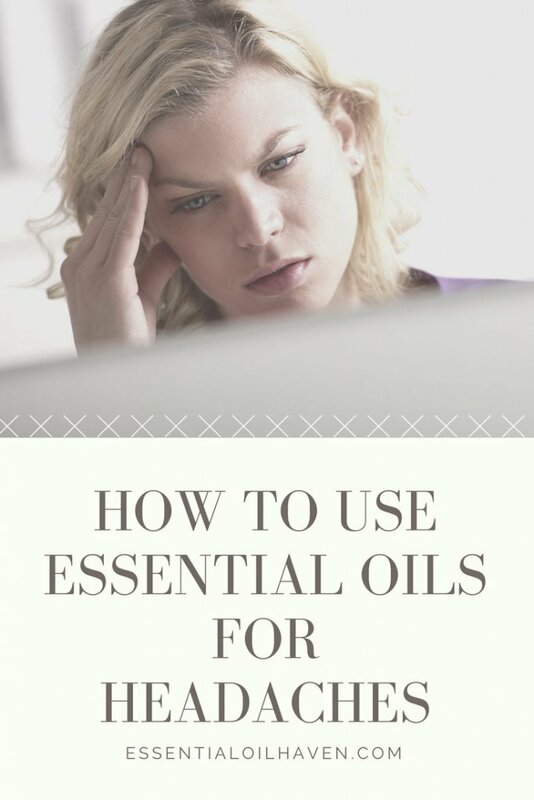 Essential oils are a popular home remedy for headaches. There are a number of known remedies which can relieve us from the pain and suffering brought by headaches, and the effectiveness of these remedies can greatly differ from one person to the other. Drinking a tall glass of water should always be your first step of defense against a headache. Some people get relief from headaches merely by sleeping it off or by taking a power nap. Some people need a massage to get rid of the pain, and there are also some people who quickly go to their medicine cabinet and take a pill. These over the counter remedies are definitely effective, but they may cause undesirable side effects. There is also another, alternative way for you to do away with that terrible headache. You do not require a pain reliever medication, go for a massage or deliberately go to sleep. You just need some good essential oils and the knowledge of which particular oil to use and how to use it to make it work. 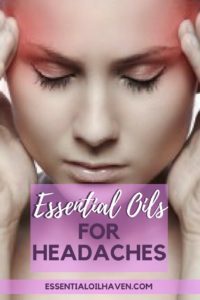 Which Essential Oils Help With Headaches? Aromatherapy and using and applying essential oils can help you get relief from your headaches. Below mentioned are some of the individual essential oils for headaches. The essential oil that will work best for relieving your headache will be based on the kind of headache you are suffering from. 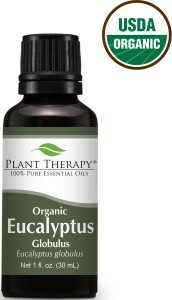 This Eucalyptus Oil is Certified Organic and under $10 for the bottle. Eucalyptus essential oil contains chemical components which enables it to act not only like an anti-inflammatory, but also as an expectorant. This means it helps to bring up mucus and other materials from lung areas. If you are having a headache because of sinusitis or any problem that includes sinuses, then this essential oil is the best type for you to use 7. Different varieties of Eucalyptus essential oil exist. Ensure that you pick Eucalyptus globulus because it is best for headaches and sinus infections. Eucalyptus oil is also proven to decrease a person’s pain and blood pressure when inhaled or applied topically because of it’s cooling sensation to the system 8. It is also a cost effective way to alleviate body and muscle pains. How should you use Eucalyptus oil for migraine headaches and sinus headaches? The scent of Eucalyptus oil is great for headaches of migraine types. Gently massage the oil into the temples and the back of the neck to relieve migraine symptoms. You can also apply the oil on the chest area, on the top of the nose and on pillowcases for clearing the nasal passages and for easing sinus headache symptoms. The majority of people find the scent of the peppermint essential oil to be extremely pleasing and relaxing as it is quite familiar to them. When diluted at a low level of concentration, peppermint oil can cause a minty and uplifting sensation, but at the same time, Peppermint can also be one of the most intense among all of the essential oils. It contains menthol, which gives that cool sensation that could really help in easing a headache. Peppermint essential oil can also be used for pain in muscles and other body aches by stimulating the blood flow to specific areas when applied topically. Though the menthol contained in the peppermint oil can feel very comforting, it can also have a stimulating effect. For this reason, you should avoid using the oil when it is already your bedtime as you might find yourself awake in the middle of the night when you should already be in deep sleep. How do yo use peppermint oil for headaches? Apply pre-diluted oil to your forehead area, the temples of your head, or the neck, as well as into the hairline. You should not apply Peppermint oil to your skin directly as it can cause stinging and irritation. Buy pre-diluted roll-ons, make your own roll-on, or you can dilute on the fly by keeping 1 tablespoon of carrier oil in the palm of your hand, and adding two drops of Peppermint oil to your mix. Apply where needed. 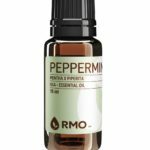 If you are fond of the scent, feel and effects of the peppermint essential oil, but feel you cannot handle it as it is too strong for you, then Spearmint essential oil is a really excellent alternative to use. 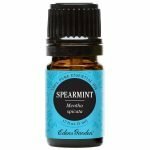 Spearmint has a much more subtle scent than that of the peppermint oil, but it basically has the same soothing and therapeutic effects 9. This essential oil is very effective for inducing a feeling of calmness and relaxation to the person using it. If you are experiencing a headache, feeling tired and stressed out, depressed or lonely, then this is the best essential oil for you to use. When you are feeling angry or irritated, Roman Chamomile can also help you to get back to a calm and relaxing feeling. If you have ever drank chamomile tea, then you are already quite familiar with the scent of chamomile essential oil. The essential oil has much more fragrance than the tea, yet it still has the same soothing and sedative effects that the plant inherently carries. This essential oil’s anti-inflammatory properties make it very effective for obtaining relief from headaches. 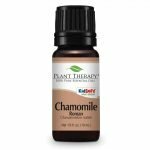 When you diffuse Roman Chamomile, you can use it for pacifying an irritable baby or a toddler throwing a tantrum – this is truly how powerful and effective it is. It is not a surprise that lavender essential oil is included in this list as it possesses a very aromatic, refreshing and relaxing scent. 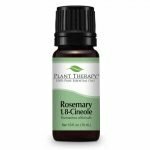 It also contains anti-bacterial and anti-inflammatory properties which make it an essential part of your essential oils’ first aid kit for using at your home 10. Still, one of the most desired properties of Lavender essential oil is its sedative effects. It could help you in relaxing easily, make you fall asleep fast and assist you in relieving your headache that way. For this reason, lavender essential oil is best used when you want to relieve a headache that arises at night. Further, Lavender is also one of the best essential oils to use when you are experiencing extreme stress 11. Just inhaling its floral scent is enough to get rid of the headache, especially when you have knowledge about how to dilute or diffuse it in the right manner. 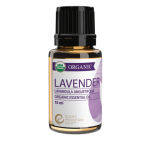 Lavender oil is also one of the most safest oils to use. However, when using it excessively, it can have a stimulating effect. For sugar headaches, you should mix lavender, rosemary and coconut oil in equal parts. Apply this mixture to your nape area (it lies at the top of your neck into your back hairline) as well as on the temples. Rosemary essential oil is commonly used for stress relief and it can cure tension headaches and migraines by bringing down the cortisol levels (stress hormones) in your body. Applying rosemary oil directly to the temples and nape area, or taking a vapor bath with a few drops of rosemary oil can improve the circulation of the body. Improved circulation can help in pain relief due to the more blood flowing to the affected areas. Adding essential oils to a bath is effective because you are able to inhale the essential oils while the bath water causes the oils to evaporate into the air. Apply a few drops of your favorite essential oils on the side temples of your forehead to relieve your headache with essential oils. Always dilute for safest application, or use pre-diluted roll-on sticks. You may choose to apply essential oils topically to any area where you feel pain. Popular spots for applying oils for headaches are on your temples or forehead. You should always dilute the essential oil by adding a drop or two of appropriate essential oil carrier oil, then applying the mixture on your skin. If you prefer using a super quick fix for your headache, try a headache relief essential oil roll-on like this one here. A headache blend roll-on is definitely also handy for keeping in your purse for on-the-go headache relief. If you are an experienced essential oil user, you can definitely blend your own essential oil headache relief mix as well and make it ready for use whenever you need it. You can use this as a guide in blending your own mix. Use your custom blend into a pre-made roll-on product (refillable bottles available here) and say goodbye to your headache! Apply a few drops of your most liked essential oils on the side temples of your forehead to get rid of your headache. Always dilute them for safest application, or use pre-diluted roll-on sticks. Another way to use essential oils for headaches is to use an electric essential oil diffuser for dispersing the oil into the air. Filling the room where you are in with the aroma of beneficial oils will enable you to breathe continually in an environment of well-being. Humans have the olfactory system of smell which is extremely strongly developed. It is a great avenue for sending positive messages back to your brain. If you don’t have a diffuser yet, you can keep some essential oils on a cotton ball and hold it right under your nostril. Then, take a deep breath and enjoy the pain-relieving sensations! 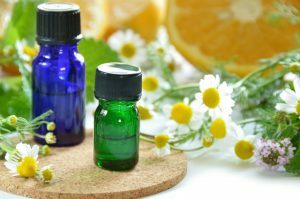 If you are not interested in stacking up your home medicine kit with all these individual pure essential oils, I did find a great alternative for you as well. 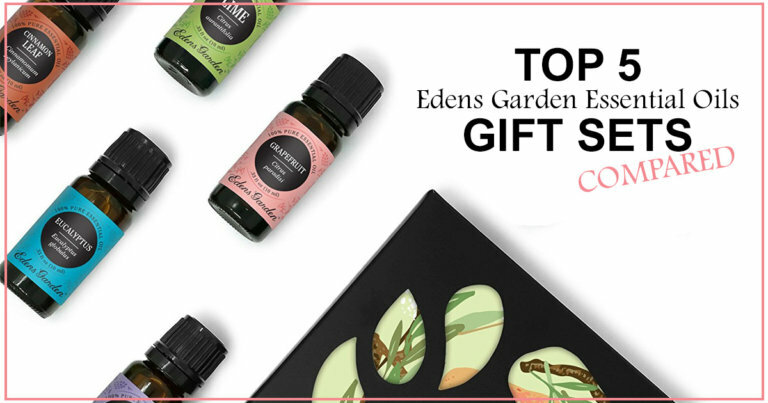 You can get a set of pre-diluted, roll-on type essential oil applicators for under $40 from Plant Therapy. It does not make use of the individual essential oils, but rather an amalgamation of essential oils into synergy blends that are named Lavender Fractionated Coconut Oil, Germ Fighter, Headache, Immune-Aid, Peppermint and Calming the Child. If you are looking for the easy and handy solution to resolve your headaches (and other home first aid situations), this might be the kit for you! 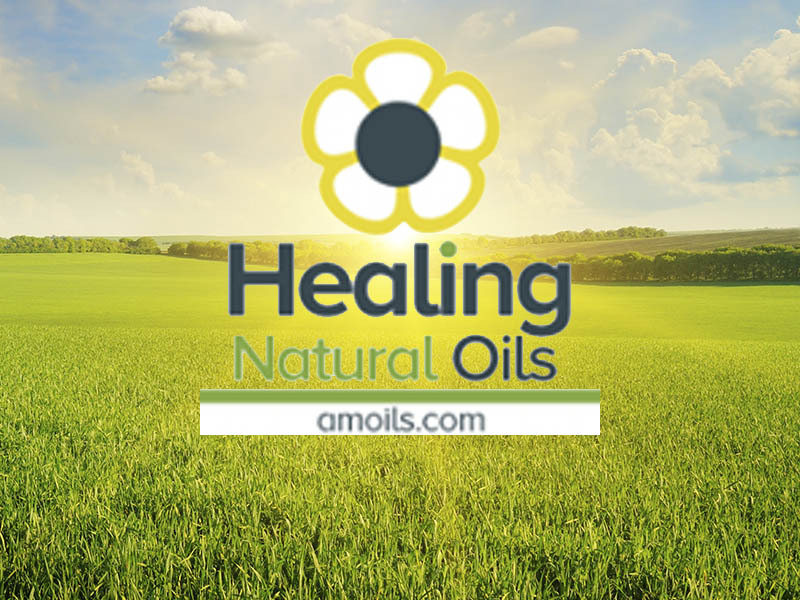 Do you have any essential oil headaches success stories that you would like to share with us, where you used essential oils to cope with the throbbing temples? Please let us know in the comments below! I think that having serious headache we should think about our psychological condition, but while thinking what to do with the first point , essential oil’s theraphy can help,so thanks for all the descriptions.it was useful! When I have a headache I have a lavender essential oil for it. Strong scent makes me feel better and comfortable. Thanks for the list and maybe I should try another one. I use peppermint oil diffused in sweet almond oil in a roller bottle. I start at one temple go across my forehead to the other temple, then across the back of my neck. Within 10 minutes my headache is gone. Because I love lavender so much I bought Lavender oil for my diffuser, and one day I had a serious migraine headache, I didn’t have any migraine or headache tablets with me only my lavender oil. So I put two drops on my finger tips and rubbed into my forehead and temples in circles. wither 3minutes my migraine/headache was gone. It really works better than any tablet when you need instant relieve.